Whether your child is the next Mozart or just wants to try something new, he will benefit from some form of music education. Studies have shown that students who are involved with a music education program in school perform better on tests than students who don’t engage in music. 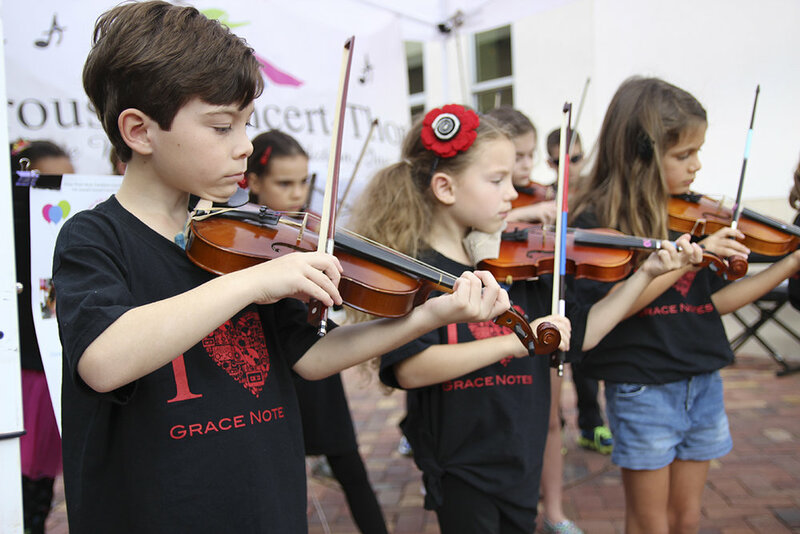 One study revealed that students in schools with superior music education programs scored around 22 percent higher in English and 20 percent higher in math scores on standardized tests, compared to schools with low-quality or no music programs. Recent studies have indicated that musical training physically develops the part of the left side of the brain known to be involved with processing language, and can actually wire the brain’s circuits in specific ways. Learning a musical instrument also improves how the brain understands human language, which can help students learn a second language. Music allows students to try something new and develop confidence as they master singing or playing an instrument. When students are working towards a common goal, they appreciate that their ‘voice’ and interests are heard and understood by others. This joint effort creates a sense of secure acceptance that is critical to their self-esteem. Music nurtures students’ creative side, which can have an impact on their futures. “Employers identify creativity as one of the top five skills important for success in the workforce.” The partnership also suggests originality and flexibility are benefits of music education because they are key components of the creativity and innovation music requires. The music program at Jupiter Academy of Music provides a wealth of opportunities for students to develop and share their talent. Introductory courses teach performance, theoretical, and listening skills. To learn more about Jupiter Academy of Music’s program, contact us!